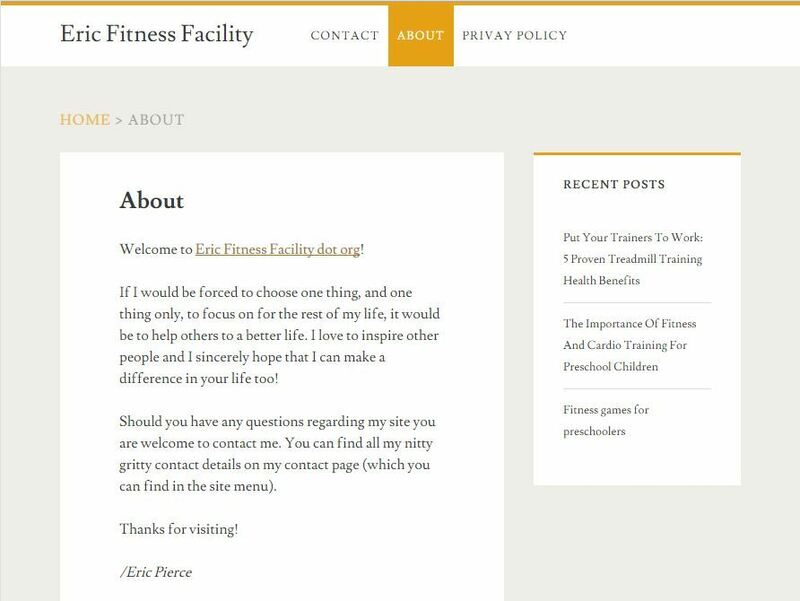 Welcome to Eric Fitness Facility dot org! First, I would like to take the opportunity to say that, going into 2017, I’m planing to release a completely new and revamped website that, I believe, will better serve you as a reader and supporter of the Fitness Facility. More information is due to be released later this year, stay tuned. If I would be forced to choose one thing, and one thing only, to focus on for the rest of my life, it would be to help others to a better life. I love to inspire other people and I sincerely hope that I can make a difference in your life too! Should you have any questions regarding my site you are welcome to contact me. You can find all my nitty gritty contact details on my contact page (which you can find in the site menu). Also, and on a final note, I would like to thank my readers and I promise that during this year and the next I will devote considerably more time to this website. I’m actively searching for interesting topics to write on. I will of course continue to write about treadmills, running, x-trainers, and health issues and research. If you have any suggestions, contact me immediately. If you are an avid runner I’d love to connect with you too. Maybe we could work together to publish more quality running related articles on this site then I would be able to do on my own. Don’t hesitate to contact me!